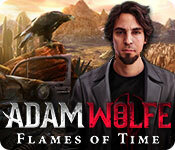 Adam Wolfe: Flames of Time contains graphic content and is intended for mature audiences. Step into the shoes of Adam Wolfe, an investigator of the supernatural. Driven by your sister’s mysterious disappearance, venture through the shadowy streets of San Francisco where crime and paranormal occurrences intertwine. Solve one mystery after another to unravel a larger conspiracy that will lead you to your missing sibling. But beware; it may drag you into the abyss forever. Adam Wolfe: Flames of Time is rated 4.5 out of 5 by 147. Rated 5 out of 5 by sldavis01 from So different from other HOGS! I was a little concerned about the "mature" warning, but I did not find it offensive or excessive at all. The story line, puzzles and HOGs were so different from any other game I have played. I only needed the hint button a few times. The map is outstanding and the graphics, story and interest level of this game is amazing. More like this, please!! I bought the next one as well. Rated 5 out of 5 by euphoria from Finally, a Game for Adults While I enjoy a good fantasy with fairies and pretties, or a sinister graveyard romp with demons and ghouls, after awhile they all start to seem insipid and "same-ish." Put the X-shape in an X-shaped hole. Turn a key. Grow a plant. Create a potion. Bleh. This game is so different; fast-paced and realistic (okay, there is a supernatural aspect, but in a modern, urban setting). The items you find and the actions you take are logical and very intuitive, especially given that you aren't provided a lot of guidance if you don't choose to use the tutorial (I never do; I find them annoying). It doesn't take long to figure out what to do; it's whatever a real person in that situation would do! 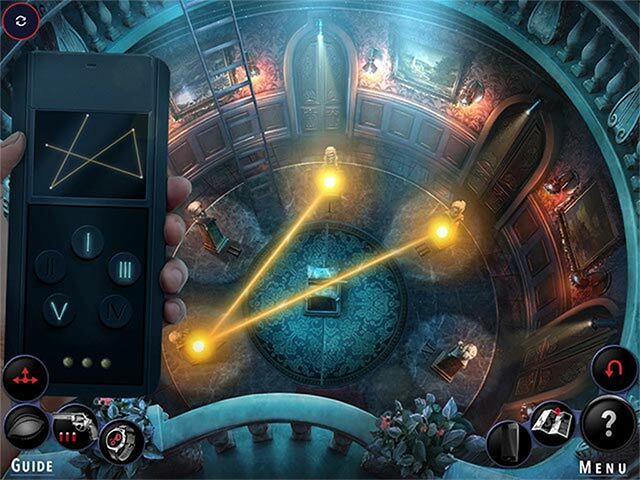 This is a game for adults, especially those of us who love suspense and thrillers. Great character development, especially the sinister and the as-yet unknown; fantastic narration by the protagonist. This is a winner and I can't wait to play the sequel. Rated 5 out of 5 by rpggramma from EXCELLENT !! Just finished, and all I can say is : I WANT MORE!!!!! GREAT INTENSE "STORY"!!!! I do not consider this a game; there is NO game here!! ***If you don't like gore or blood; do not do this!! *** NO real HOs, no real puzzles or minigames! Everything that is done, is needed to help solve the problems or crimes. The voices are great and the journal and phone info are, as well. IT IS DIFFERENT, EXCITING, AND INTENSE!!! LOVED IT!!! Rated 5 out of 5 by henryhaynes from Adam Wolfe! I remember when this game first came out I just knew it would be different, but I didn't realize I would have this much fun. It's like a comic book, but you are playing as the main character, who has such a good story to tell. The map can be quite intimidating, but it get's easier when you begin to use it. There are lot's of split screens and fun types of puzzles and gimmicks! 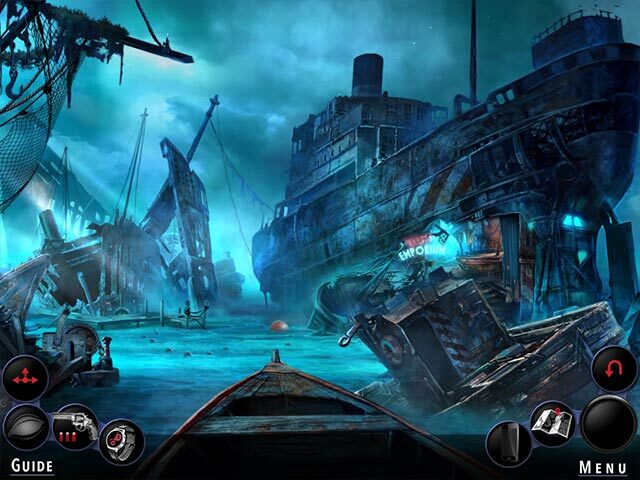 There is a sequel to this game, it is called Blood of Eternity, but the storyline ends there. I was very disappointed, and I really wanted there to be another one, but I guess that's just what makes this game so special. Rated 5 out of 5 by willo911 from A++ Can't wait until Act 5 and more. Rated 5 out of 5 by MisterBear from All Adventure, nice change While I enjoy playing HOGs I found this game a great deal of fun. It was all story line and action. I bit grisly in its true to life depiction, but enjoyable all the same. Kept me guessing until the end. 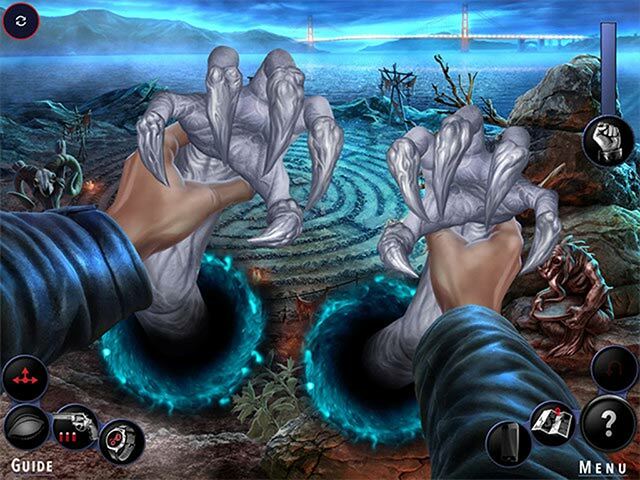 Rated 5 out of 5 by wcburns from Loved Adam Wolfe Fames Of Time Awesome graphics, interesting main character and story, smooth, fast transitions between locales, and nice puzzles. The attitude and dialogue reminded me a little bit of Harry Dresden. Highly recommend. Rated 5 out of 5 by DaktylsMom from Wow did I enjoy this game I read a review from pennmom36 a while back. It's an older game, but I seem to like her reviews and if she gives a game a "head's up" reviewing another game, I went right to it. It's taken me a long time to finally play it. I actually bought it with a free game coupon b4 playing. It... was a BLAST! I had no idea there was a 2nd installment. Was about to write MadHead asking. Loading it now. This game was "not the same old thing". Options made you pick, choose and think. I had a lot of fun. Sorry I waited so long to play it. Hope you enjoy too! Rated 5 out of 5 by ninja226 from Count me a fan My response after completing game--WOW. This is one of the best games I have played on BFG. The story is intriguing, gameplay is immersive and true to life, action oriented, and logical (from a supernatural standpoint). The setting is contemporary and the characters entirely relatable. Voiceovers are completely believable. There is a comic book bete noir feel to the game that is mesmerizing. The mature content label to the game refers to violence (blood spatter, actual gunshots) and a pseudo bad word. It would rate a PG-13 rating at the movies. It is not a creepy, crawly or spooky game at all. If you enjoy detective stories similar to those shown on TV, this game should be right up your alley. It's one of the few HO games from standpoint of a guy protagonist. The game has two complete stories or episodes in one game, and amounts to two games, even though it is an SE version. It's a nice bonus not seen in most HO offerings. Just another reason to buy the game. Act as Adam Wolfe, an investigator of the paranormal. Discover an occult world hidden in modern San Francisco!